PLAYSTATION NETWORK CARD 45 GBP is a digital code with no expiry date. Once bought, this downloadable code will be delivered directly to your email address with no shipping cost. Disclaimer: This product is Region Locked and can only be activated in United Kingdom. We at livecards.co.uk sell some of the gaming industry’s cheapest PLAYSTATION NETWORK CARD 45 GBP codes. Our cheap prices are a direct result of us purchasing our digital codes in bulk at a discounted price, which we in turn pass onto ‘you’, our customer. Our codes are 100% legit as they are sourced from official licensed suppliers. 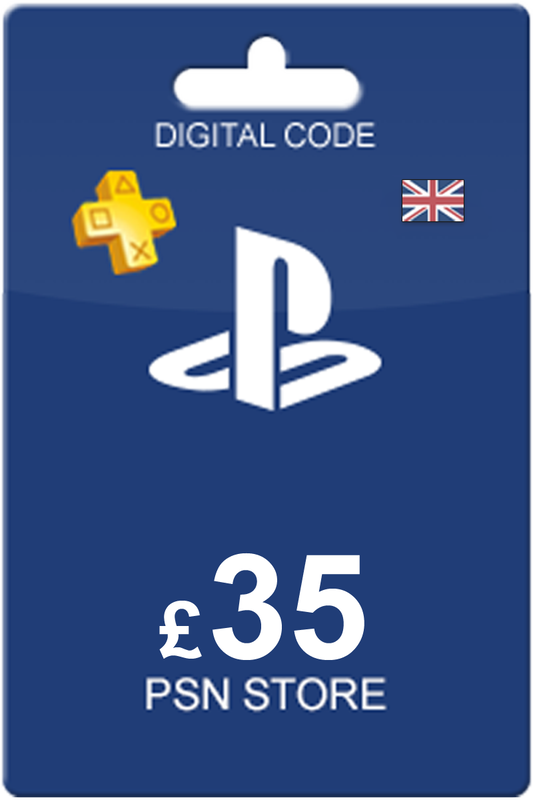 Once bought, we will deliver your PLAYSTATION NETWORK CARD 45 GBP digital code directly to your provided email address within a matter of seconds. Our 24/7 Live Chat support are always at your beck and call in case you have any questions about our PLAYSTATION NETWORK CARD 45 GBP codes. Buy any of our PlayStation Plus Memberships and enjoy playing PLAYSTATION NETWORK CARD 45 GBP for PS4 Sonline with friends and fellow gamers, put your gaming skills to the test in online competitions and avail of exclusive Playstation Plus member only offers as well. How to buy PlayStation Network Card 45 GBP? Livecards.co.uk makes buying PlayStation Network Card 45 GBP as easy as pie! All you need to do is fill in your email address, pick a payment method, complete the payment and voila! The code is yours.